Steamboat Springs Mountain Resort just acquired by Aspen Co.-KSL Capital Partners. Early this week, Aspen Skiing Company and the Denver-based private equity firm KSL Capital partnered and acquired Intrawest Resorts. This $1.5 billion deal gives Aspen Skiing Co.-KSL Capital Partners control of Steamboat and Winter Park ski areas in Colorado and Squaw Valley – Alpine Meadows ski resort in California. And just announced, they are also buying the Eastern Sierra’s Mammoth Mountain, June Mountain, Snow Summit and Bear Mountain, giving the newly formed partnership more than 6,000 acres of southern California ski terrain across four resorts that host more than 2 million visits a year. Aspen Skiing’s four Roaring Fork Valley areas — Aspen Mountain, Aspen Highlands, Buttermilk and Snowmass — will not be part of the new partnership and will remain independent under the Aspen Snowmass banner. KSL’s Squaw Valley-Alpine Meadows resort will join the new partnership group but will continue to operate under the existing management. Part of the Intrawest acquisition also includes the following resorts: Quebec’s Tremblant, Ontario’s Blue Mountain, West Virginia’s Snowshoe, Vermont’s Stratton ski area and the world’s largest heliskiing outfit Canadian Mountain Holidays. Season pass programs for Aspen Skiing and Intrawest’s Winter Park and Steamboat ski areas will remain unchanged for the 2017-18 season. Intrawest’s $629 M.A.X. Pass — which offers five days each at 44 resorts, including Winter Park, Copper Mountain, Crested Butte and Eldora — will not change for 2017-18. Same for the $529 Rocky Mountain Super Pass Plus, which delivers unlimited skiing at Winter Park, Copper Mountain and Eldora plus six days at Steamboat. The $399 Mountain Collective Pass, good for two days each at 16 independent resorts, including Aspen Snowmass and Telluride, will not change. Intrawest’s owner, New York hedge fund Fortress Investment Group began exploring a potential sale last fall. Then in February, Japanese telecommunications and energy giant SoftBank Group Corp. acquired Fortress Investment Group – a $3.3 billion deal. The Aspen Skiing-KSL deal marks the end of Intrawest and it’s not likely the name will linger. Intrawest was originally founded in 1976 by an apartment-building visionary who grew the company to the largest resort operator in North America with almost $2 billion in real estate in 2006. The company, which moved its headquarters to Denver from British Columbia in 2011, made its initial public offering in 2014, raising about $188 million. It sold its timeshare property — with 22,000 members spread across nine resorts — in 2015. The company’s stock was trading around $17 in mid-January, when news emerged that Fortress was exploring a sale. Aspen Skiing, which is owned by the Crown family of Chicago, is paying $23.75 a share for Intrawest. Shares closed at $23.60 Monday. KSL Capital was formed as KSL Recreation Corp. in the early 1990s by former Vail Associates chief Mike Shannon and New York investment giant Kohlberg, Kravis Roberts & Co. The firm, which joined with the Vail Valley’s East West Partners in 2011 to pursue real estate development projects, owns a host of luxury hotels and resorts. It’s too early to tell how the new partnership might divide up mountain operations with real estate development. Right now, they have about 1,100 acres of prime slopeside undeveloped land and a $1 billon planned base-area redevelopment at Squaw Valley-Alpine Meadows resort in California. 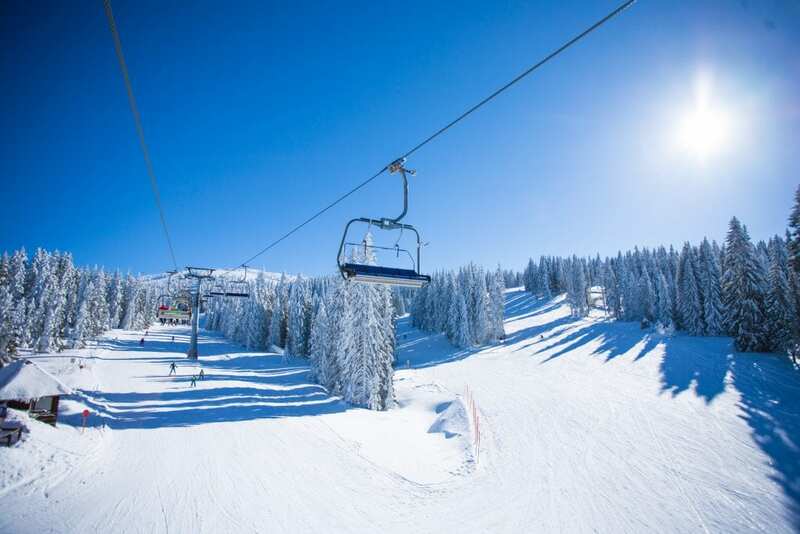 As the economy rebounds, Aspen Skiing Co.-KSL Capital Partners is expected to begin exploring those development opportunities, especially at Winter Park ski area. Both Aspen and KSL are committed to helping Intrawest accelerate plans to bring more value to guests, more opportunities to employees and more investment into local communities. For more information on investment opportunities in these areas, please contact the real estate experts at Real Estate of the Summit today!